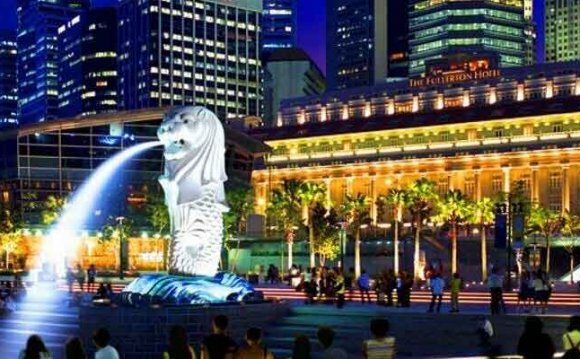 The modern, outward-looking city-state of Singapore is well acquainted with its neighbors. Looking south, it faces off islands of the Indonesian archipelago, while to the north, a causeway connects the island with the teeming jungle and equally teeming cities of the Malay Peninsula. Malaysia makes a great side trip for a day or longer from the island, and like Singapore, it is a fascinating mix of ethnic groups and religions. Nowhere are these different influences more evident than in the historic city of Malacca, around 155 miles (250 kilometers) north-west of Singapore. Successive groups have occupied the city through immigration or conquest. Over five centuries ago it was a power center of the Malays before the Portuguese took over in the 16th century and made it a key trading post. Their most visible monument is the A Famosa fortress, one of the oldest European structures in Asia. Over a century later the Dutch took over, erected their own fort and left the ensemble of public buildings now known as Dutch Square, including the distinctive red Christ Church. But it wasn’t just the colonial powers which left their mark. Malay mosques, Hindu shrines and the oldest Chinese temple in Malaysia all testify to Malaysia’s multi-ethnic patchwork and engrossing history. Even closer to Singapore, just across the strait in fact, is the city of Johore Bahru, or “JB” as it is known to locals. This booming frontier town offers a taste of authentic Southeast Asia. The familiar jumble of influences continues: one of the city’s main sites looks at first like a colonial English administrative building, but Moorish flourishes inside reveal its true function as a mosque. Like the mosque, The Royal Museum also bears the name of 19th century ruler Sultan Abu Bakar. It’s a self-confident expression of Malay identity in harmony with the numerous foreign influences on the city. See how these traditions continue today with demonstrations of batik fabric making.